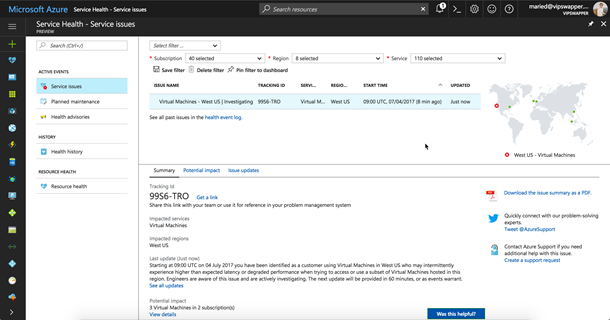 Azure Service Health Preview provides guidance and support when issues in Azure services affect you. It provides timely and personalized information about the impact of service issues and helps you prepare for upcoming planned maintenance. Azure Service Health Preview alerts you and your teams via emails, text messages, and webhook notifications when your business-critical resources are affected.